At the end of the semester college bookstores are willingly buying back the used textbooks from the students. 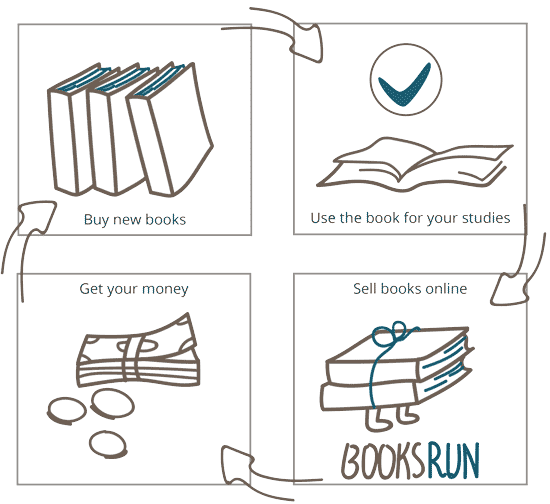 Every participant of this process is receiving something positive in return: students are able to purchase the necessary materials for a lower price or get back some money for books they don’t need anymore, and bookshops can refill their shelves. Prior to acquiring your used textbook, the shop has to check if the newer version is available. The existence of an edition newer that yours may decrease the bookstore’s demand for an older one down to zero. The best option in this case would be selling it on a website like BooksRun and being able to find a buyer even not during the buyback season. Other price-setting conditions include the relevance of the textbook (bookstores are usually interested in ones that would be suitable for the courses in the next semester), the extent of use, and presence of any tears or stains. Adding complimentary materials for the textbook like CDs or workbooks is also necessary. The pristine condition of the book and availability of the supplementary materials can help you get back up to 50% of the original price at the campus bookstore. If the top quantity of books needed is reached at the campus shop, then the textbook might be sold to a wholesaler with a suitable price. Check if all the norms of buyback listed above apply to your textbook. Your college ID needs also to be provided to the store in order to sell books. Buyback period usually starts at the end of the semester, but the best time for trading your textbooks is estimated to be at the end of summer and after the New Year, as students start looking for the materials for their new classes. Selling books as soon as classes end may ensure you a better price, for bookstore might only buy back until they possess a certain amount of copies of a particular edition. Websites involved in reselling the used textbooks have their own conditions of books acceptance. Shipping and pricing might have rules as well, although many dealers provide you with labels and packing lists. Make sure you’ve read all the guidelines of a particular vendor. Selling your books to a website gives you plenty of advantages over college buybacks. For sure, bookstores are quicker in terms of immediately giving out the cash, but online services like BooksRun do not have a limit on a number of copies acquired, and the price offer is generally much better. Searching for a book using ISBN on the website or a barcode scanner for Android or iOS gives you an opportunity to find the price of a sellback. All your further actions are choosing the way you wish to be paid and sending the textbooks with a printed shipping label attached. Finding the buyer is not your responsibility now, but ours.